According to the latest study, older adults with Type-2 diabetes are more likely to succumb to fractures than their non-diabetic peers. Diabetes is a group of diseases that results in too much sugar in the blood. Diabetes has been linked to obesity, and poor heart health in the past and according to the latest study, older adults with Type-2 diabetes are more likely to succumb to fractures than their peers without the condition. 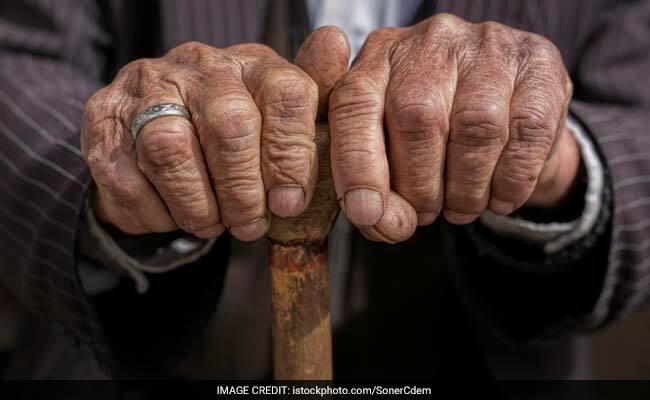 "Fractures in older adults with Type-2 diabetes is a highly important public health problem and will only increase with the ageing of the population and growing epidemic of diabetes," said lead author of the study Elizabeth Samelson of the Institute for Aging Research at Hebrew SeniorLife in Boston, US. The findings revealed that older adults with Type-2 diabetes had deficits in the cortical bone - the dense outer surface of the bone which forms a protective layer around the internal cavity - compared to non-diabetics. The study also revealed that the microarchitecture of cortical bone that could be altered in seniors with diabetes and thereby placing them at an increased risk of fracture. The study, published in the Journal of Bone and Mineral Research, included over 1,000 members who were examined over a period of three years. With the help of high resolution scanning, researchers concluded that several older adults with diabetes had weakness specific to cortical bone microarchitecture that cannot be measured by standard bone density testing. "Our findings identify skeletal deficits that may contribute to excess fracture risk in older adults with diabetes and may ultimately lead to new approaches to improve prevention and treatment," Samelson said. The most common cause of diabetes is the impaired ability of the cells of the body to produce or respond to the hormone insulin, which results in abnormally elevated levels of glucose in the blood. Here are some foods that can help you keep diabetes and glucose levels in check. Consume about one teaspoon of fenugreek powder (methi dana powder) with lukewarm water early morning before you start your day. Fenugreek seeds have the ability to lower blood sugar in people with diabetes. They contain fiber and help in slowing the digestion process and thus, regulates the absorption of carbohydrates and sugar. Take two teaspoons of amla juice with a pinch turmeric powder early morning. Amla is a traditional remedy to control high blood sugar levels. It also contains a mineral called chromium which regulates carbohydrate metabolism and helps in making your body more responsive to insulin. Beetroots are low in carbohydrates. They are also a rich source of vitamins, minerals, fiber, and phytonutrients - all of which help in managing diabetes. The natural sugars in beetroot don't get converted into glucose in the body too quickly which makes them good for diabetics. Rich in lycopene, tomatoes can work wonders for your heart. They also reduce blood pressure and the risk of heart diseases associated with diabetes. Tomatoes are packed with Vitamin C, Vitamin A and potassium. They are low-carb and also low in calories which make them a superfood for diabetics. The starch found in foods such as bananas, potatoes, grains and legumes, may benefit your health by aiding blood sugar control, supporting gut health and enhancing satiety. This is a form of starch that is not digested in the small intestine and is, therefore, considered a type of dietary fiber. Load up on these superfoods to keep diabetes at bay.